With 37 teams competing, our venue for the day (Grote Kring, Kortrijk) was packed with ballers, beats and spectators all day. It was the first time ever someone organized a 3X3 tournament at Grote Kring, but it sure won’t be the last time. Located at the heart of the city, people were drawn to the music coming out of DJ Meks & Brizz’ speakers and enjoyed the show brought to them by over 120 ballers who were competing for a top 4 spot and Golden Ticket to the 3X3 Masters Finals. 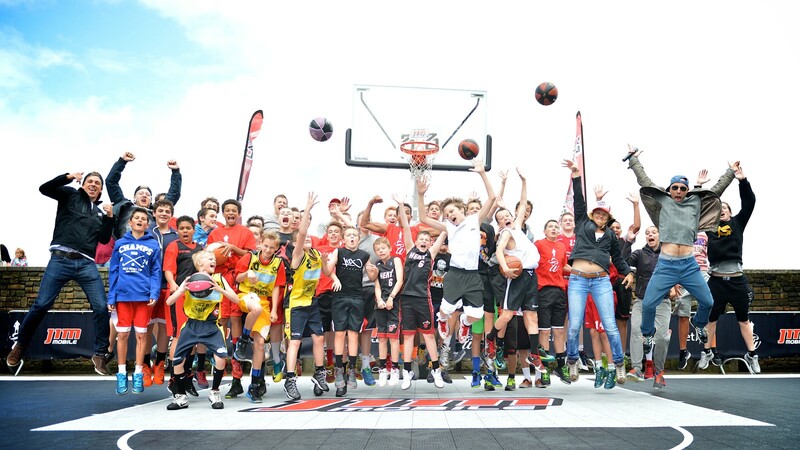 Starting off as usual, the U13 & U15 teams took over 3X3 Masters Kortrijk. Six teams tested eachother in the U13 category, but in the end team Hoopsquad was victorious, winning all 6 of their games. To do so, they had to beat a very though The Montois team in the U13 final. BCO Summer Team and Helios U13 round up the top 4 who will be invited to play the big 3X3 Masters Finals (which is already in 2 weeks!). The U15 boys and girls were divided in 2 pools of 4 teams each. Both TTB and Shake and Bake came out on top of the pool phase, with The Three and Shift Team as runner-ups. As TTB took an easy W over The Three, it was runner-up Shift Team who made it to to U15 Final in Kortrijk. They beat Shake and Bake with clear 8-13 numbers to take on TTB again. In the U15 finals, we had both team going toe to toe and head to head, never leading or trailing by more than 2 points. TTB somehow managed to score right before the buzzer, winning the game and a nice Bouncewear voucher. More 3X3 basketball in the afternoon of course, when the U18 Boys, 18+ Women and 18+ Men started their tournament. Only 4 of the 15 teams +18 Men would make it to the semi-finals, and the competition kicked off with a do-or-die mentality from the first minute of action. 3X3 Masters regulars Under Armour dominated their pool, as did team 9000 (from Ghent, where else?) and All Ball Snapsports (all the way from the Netherlands). Another familiar team got the much wanted last spot in the semi-finals: Squad Streetball from Germany. They did so by losing only 1 game and then outscoring their opponents with 21 points each game, as points scored on average is the deciding factor to determine the rankings. In the 18+ Women category, the Duva Diva’s dominated the competition. They won every pool game by at least 3 points and finished of the tournament with a 15-8 win over Firegirls in the finals. Same story in the U18 Boys category, where A-town’s Finest held a clean sheet, winning all their games in the pool phase and beating Team JBK in the Finals. Besides the venue and MC Lieven as newcomers to our tour, we had another primeur in store for Kortrijk: the NBA Legends Drill. In this concept, 8 participants try to win over the crowd with 3 oldschool NBA moves: Kareem’s skyhook, Rick Barry’s weird free throw and the infamous Bob Cousy lay-up. More important than scoring each basket, it were the moves and entertainment factor who decided on the winner of this contest. With some entertaining participants, including 9000’s Robin Spaens and Under Armour’s Leroy Anthonis, it was courtmonitor Daniel who stole the show with his breakdance moves and enthousiasm. He took home an NBA jersey as a reward. The NBA 2K Shootout was a re-run from last weeks edition. Jérémy Bartholomeus of BX Spartians killed it in the Final Round, knocking down yet again the midcourt shot and proving his shooting performance in Brussels was no fluke. Congrats Jérémy! The Dunk Contest? 1 word: AWESOME. Just watch the clips on Facebook or Instagram and you’ll know what’s up. Winner: Zac! Capargus just dropped the 3X3 Masters Ghent video recap! Hot. 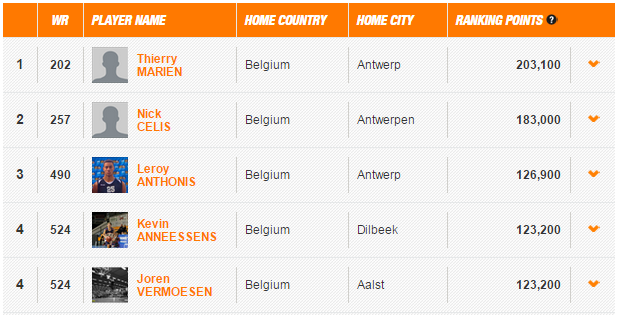 Ask any of the players at 3X3 Masters Brussels about the tournament, and they’ll tell you it was hot. We’re not only talking about the weather here, the level of basketball was hot as well. And Brussels lived up to its status as ‘Capital of Europe’. Teams came in from all over Europe to play: Germany, Russia, The Netherlands and Poland among others. No such international teams in the U13 and U15 categories though, as the local kids showed of their skills and let us know about how much talent is living in and around Brussels. One of those teams high on talent was Armenomy, losing only to Bavi Ballers in the pool phase, but making up for it in the finals, where they beat their rivals from Vilvoorde 12-10. In the U13 category, The nasty Ballers beat Shuffled to get that Bouncewear-coupon. Part of that Shuffled-team was James Peeters, who showed off his shooting skills in the NBA 2K Shootout Competition. After knocking down 6 free throws (in 30 seconds) in the qualification round, he outdid himself, Andrej (from team Cleveland) & Marie (from team Dees Gurls) with 7 scores in the Final Round. As always, it was no easy task to get all the way to the finals at 3X3 Masters Brussels. With 24 preregistered Mens teams – divided in 6 pools of 4 teams each – it was do-or-die from the start, leading to some early upsets in the tournament. One of those upsets was made in Pool D, where Puus finished up top, Bouncewear / Open Run Elite 2nd, kicking last years finalists K1X Ambassadors out of the competition. On the positive side, Team Bronchart (average age 18 years) impressed us all and won over the crowd as they stranded in the semi-finals against Wild Snakes Poland in a close game full of highlight plays. Another young team doing great at 3X3 Masters Brussels: the girls of team ‘2 Hot 2 Play Ball‘. They beat team Trap Queen after overtime to win the title in de 18+ Women category. A lot of shooters entered the NBA 2K Shootout Competition in the afternoon, but only 3 made it to the Final Round: Terence (Nothing But Net), Hermes (Teameat) & Jérémy (We Dem Boyz). It looked like we would end up in a tie at the final round, until Jérémy knocked down the midcourt shot and then added 2 more to seal the deal. Jérémy took home his copy of NBA 2K15 with proud. Congrats! The U18 Boys were divided into 2 pools, with 2 teams from each pool going through to the knockout phase. In those semi-finals, QQRT bested Playground Masters and Excelsior got the W against Teameat, propelling both teams into the U18 Boys Final. Both teams played against eachother in the pool phase, but unlike the previous game it was Excelsior who came away with the win in the finals. It were 2 international teams who made it to the 18+ Men’s final: the Dutch guys from Bouncewear/Open Run Elite got the best of Wild Snakes Poland, beating them 6-10 to take home 1st place. About an hour earlier, Sjoerd Van Vilsteren had taken the Dunk Champion crown. Let’s see if he can keep his crown at the 3X3 Masters Finals, where we expect him to participate also. A whole lot of great teams played their way to the 3X3 Masters Finals, but no worries if you didn’t make it just yet. You still have 3 tournaments left to get your Golden Ticket: 11/7 in Kortrijk, 18/7 in Leuven & 24/7 in Antwerp. The 3X3 Masters in Ghent are already in the books. On Saturday June 27, we had a little under 70 teams (69 to be exact) playing 3X3 Basketball at Kouter in Gent. With DJ Boris on the turntables and MC Stanny on the mic, the Kouter quickly transformed into a mini urban festival, providing ballers from the necessary music and shout-outs during their games. The competition took a quick start, with 19 teams U15 and 10 teams U13 showing their best skills, shots and dribbling moves. In the U13 category, it were The Kings of Basket and The Cavs who came out on top of the pool phase, winning all 4 of their games. Hoopsquad and Getwood city won 3 times and also advanced to the semi-finals and secured their spot in the 3X3 Masters Finals. In a very close game, The Kings of Basket won against Getwood City (7-6) and The Cavs beat Hoopsquad (10-6). In the finals, The Kings of Basket got the best of their opponents, winning the title and Bouncewear-coupon for each player. Only the winners of each pool would advance to the semi-finals in the U15 category. The pool phase competition was fierce but eventually Shake and Bake, Tomahawk, Green Gang and Bball Kings would come out on top of their pool. Green Gang defeated Tomahawk in the semi-finals, Shake and Bake did the same against Bball Kings, leaving both teams to play the U15 Finals in Ghent. It was a real heartbreaker to see one of these teams lose, but Green Gang took the fall, losing with only one point and leaving Shake and Bake as the winners. Stijn Philips from The Kings of Basket got double treats on Saturday, winning not only the U13 tournament, but also proving to be the best free throw shooter in the NBA 2K Shootout Competition. He will be shooting some more soon with his copy of NBA 2K15 for PlayStation. From 2 until 7 PM, Kouter would belong to the U18 Boys, 18+ Men and 18+ Women. Out of the 8 teams playing in the U18 Boys category, 4 teams proved to be better than the others: Born-Ballers, BBC Alley, Rose before hoes and BCO Ballers came out on top op the pool phase and advanced to the semi-finals. A little different story for the 18+ women, where 8 of the 12 teams qualified for the quarter-finals on Saturday, leaving only Unstoppable, Knokke, One Team and No Balls, but Glory out of the knock-out phase. In those quarter finals, Chicks Got Game, Nothing but Nets, Chick Curry and Peak Sports beat their opponents to advance to the semi-finals and secure their golden ticket to the 3X3 Masters Finals. 20 teams participated in the 18+ Men category, divided into 4 pools of 5 teams with only the winner of each pool moving on to the semi-finals. Three clear winners came out of the pools: Puus, Sportizon and Underarmour won all of their games, clinching their golden ticket. In pool D, both Tunesquad and Team Blockbuster – with the energetic Gilles Matho – won 3 times. The head-to-head confrontation between both teams, is the deciding factor in this case, moving Tunesquad into the last semi-final spot thanks to their 5-7 victory over Gilles Matho and his team. Before we moved on to the knock-out phase of the tournament, the NBA 2K Shootout competition and Dunk Contest gave us our first female shooting champion of the season and a former shooting champ claiming the Dunk title. Lisa Foucart from team Chick Curry was the only female contestant left for the Final Round, in which she was the only one to knock down the mid-court shot and ultimately beating San from Skyteam to claim the shooting crown. In the Dunk Contest, three guys took their chances: Barry (Underarmour), Sam (Sportizon) and Yoni (Sportizon). Sam Caron was voted as the Ghent Dunk Champ after making his 180 reverse dunk in the Finals, beating Barry – who took some risks flying over his Underarmour teammates – but not completing the dunk. If you see Sam, make sure to check out the Dunk Contest prize on his feet: a pair of fresh Retro Air Jordans provided by Bouncewear. The knock-out phase can be described in three words: exciting, excellent and intense. With several games going into overtime or coming down to the last seconds, it were the players with the biggest cool to go all the way every time: Rose before Hoes won the U18 Boys final against Born-Ballers (8-12), the Belgium-Holland finals in the 18+ Women category was won by Julie Van Loo and her Chicks Got Game squad (11-8) and finally Underarmour beat Puus 13-11 to win the 18+ Men category. Make sure to check out our Facebook, Instagram, Twitter & YouTube accounts for all pictures and video’s of 3X3 Masters Gent. They will be uploaded in the next few days. The big prize for 18+ Men is again a ticket to FIBA’s World Tour. But what exactly is the World Tour? We’ll explain it in this blogpost and let you know what it is that makes the ticket such a hot item. Only the best teams get to play at the World Tour. Fiba selected several 3X3-organizers from around the world and awarded them with 1 ticket to the World Tour. Only the winners of big 3X3-tours, like 3X3 Masters in Belgium and Streetball Masters in Holland, will win access to the World Tour. So you’ll need to win – a lot – to make it to the big stage. The competition only gets stronger. 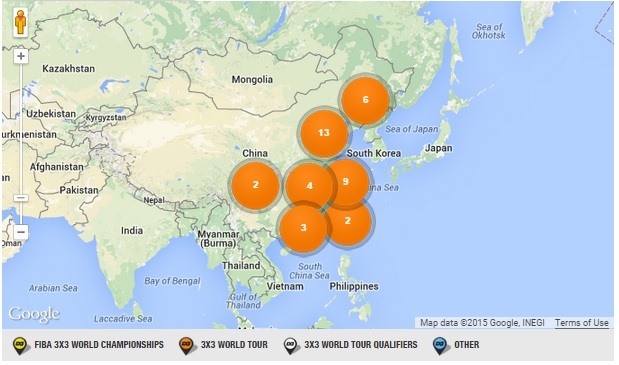 The World Tour itself consists of 6 tournaments worldwide and 1 final. The FIBA 3×3 World Tour events are true urban culture festivals, organised in the heart of the cities against the most iconic landmarks and feature non-stop music and MCs calling the games, professional dunkers, breakdancers and other street artists. It’s a truly amazing event to be part of. On top, if you manage to win the tournament, you’ll go home with $10.000! The runner-up takes $4.000, not bad either I guess. 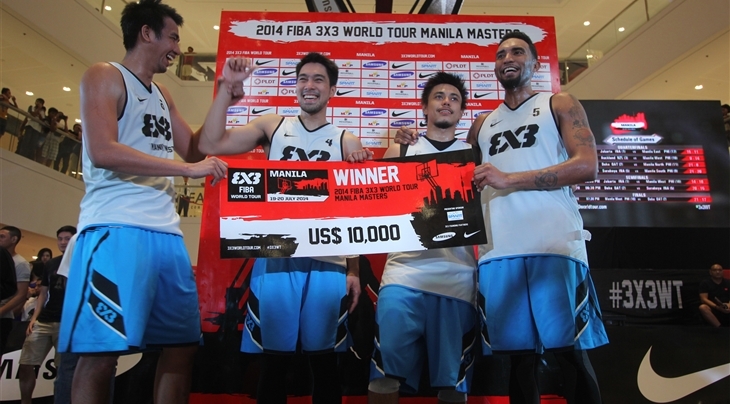 It’s pretty clear by now that the World Tour is something you want to be part of if you’re a 3X3 fanatic. And if that isn’t enough, winning the ticket to Prague comes with an All-In formula: we’ll take care of your plane tickets and FIBA will provide hotel, food, gamewear (shirts, shorts) and the time of your live. Check out the World Tour website for more info and sign up for 3X3 Masters. We’ll jump right into it: here are 5 reasons why you should have an account on 3X3Planet.com! We’re all one big happy family, right?! Becoming a member of the 3X3 social hub, is officially embracing 3X3 as one of your basketball skills and interests. You’ll be able to find and connect with friends and other baller that play 3X3. Your profile is your business card: it says who you are, where you’re from, how old you are and on which ballerlevel you’re playing, amongst many other things. Playing in 3X3 endorsed events, you’ll get Ranking Points for every game you play. The bigger the tournament, the more points you’ll receive. You can compare the 3X3 Ranking with the WTA Ranking in tennis: every player earns points for every tournament, the player with the most points is the best player. Who doesn’t want to become the #1 player in his hometown, in Belgium, in Europe, in the world? It’s all possible…And a big plus: becoming #1 in your country might even get you into the national team 3X3. How ’bout playing in the European or World Championship 3X3? Would be great, right? 3X3 Planet is of course the biggest 3X3 site in the world. It connects organizers from over the world with players from over the world? You’re going on a vacation in China? Why not play some 3X3 whilst there? All FIBA Endorsed events are on 3X3 Planet, so why aren’t you? One of the fun things you can do on 3X3 Planet is compare yourself with other 3X3 players. See how much better you are than your best friend? Check. Compare yourself with #1 in your country? Check. Compare yourself with Dusan Bulut, the #1 in the world? Check! You can check the results from your last games on your profile. Your win/loss ratio, which tournaments you played, who you played against and so on. A great way to track your records and maybe even find some new 3X3 friends! You can even sign up for upcoming tournaments. Yes, an extra reason why you should become member of 3X3 Planet! By signing up, organizers using the Event Maker, will be able to find you on the 3X3 Planet. This way, you’ll get your ranking point much quicker and all data can be linked to your profile. Ow yeah! So there you have it, 5+1 reasons why you should become part of the 3X3 Family and sign up at www.3X3planet.com. What are you waiting for?